How long is a nerve cell? How are our lungs like a train station? We answer these questions and much more in our second resource on the human body. Curriculum-based material written in an easy-to-understand way makes this a hit for teachers and students alike. Loaded with information on the brain, spinal cord and nerves, students will learn the main parts of the nervous system and how each works. 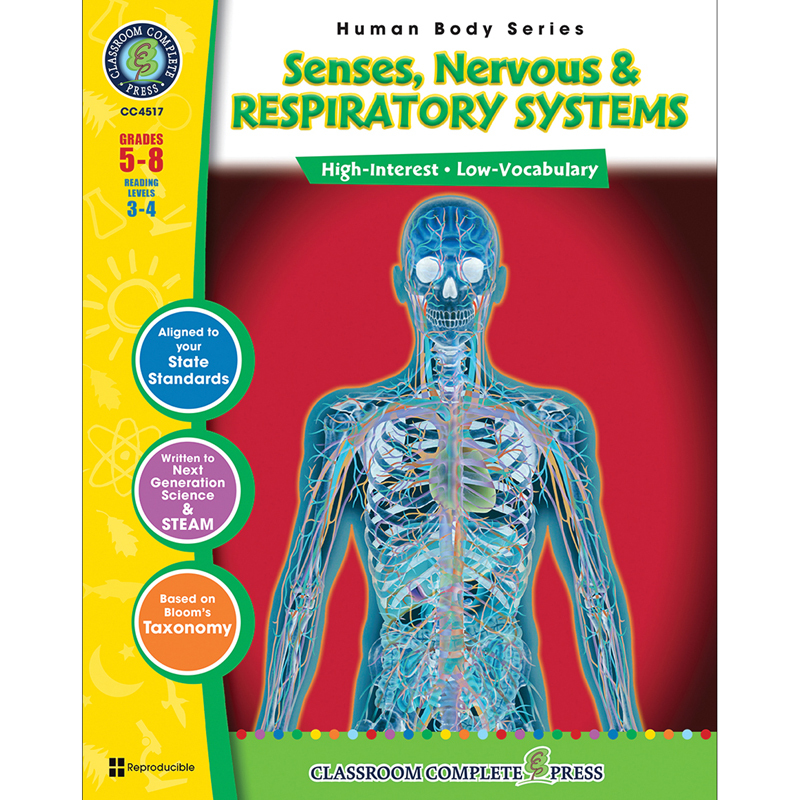 Also investigate the organs of the five senses, and then take a trip around the respiratory system! Find out exactly where air goes when we breathe it in, and then out. Reading passages, comprehension questions, hands-on activities and overheads are provided. Also included: Crossword, Word Search and Final Quiz.